After designing wedding jewelry for brides and grooms, and as one of the most successful Diamond Engagement and Wedding Jewelry showroom on the eastern seaboard, Elsa Jewelry decided to take their wealth of experience and success and share it with the world through the internet. At Elsarings we always bring you the highest quality in diamonds (only GIA certified diamonds to protect your interest) & jewelry that will make your special occasion even more memorable. 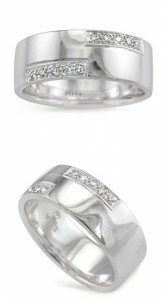 Custom Diamond Engagement Rings can be made in your favorite metal. This diamond setting, like all Elsa Diamond Rings, can be scaled up or down to complement the size of your center diamond. Diamond Rings – Get all the information you need on diamond rings, engagement rings and wedding rings. All Elsa custom rings and custom jewelry are hand made and one of a kind. 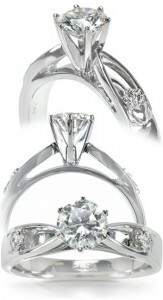 Custom Diamond Wedding Ring Sets glow with a brilliant luster and an ultra modern unique look. Don’t settle for ordinary wedding rings… Custom diamond rings can be ordered through our website or call us.